Dezeen promotion: press and industry professionals can register to attend the preview days of this year's Chicago Architecture Biennial on 14 and 15 September, for a first look at the exhibitions. The two preview days will allow the media and accredited professionals to tour the biennial ahead of its public opening on 16 September 2017. Dezeen is media partner for the second edition of the Chicago Architecture Biennial, which is being curated by artistic directors Sharon Johnston and Mark Lee, founders of Los Angeles architecture studio Johnston Marklee. Under the theme of Make New History, the biennial will focus on the efforts of contemporary architects to align their work with versions of the past. Over 100 participants from around the world will be involved, including Mexican architects Tatiana Bilbao and Frida Escobedo; New York studios Toshiko Mori Architect, MOS and WORKac; and this year's Serpentine Pavilion designer, Berlin-based Diébédo Francis Kéré. 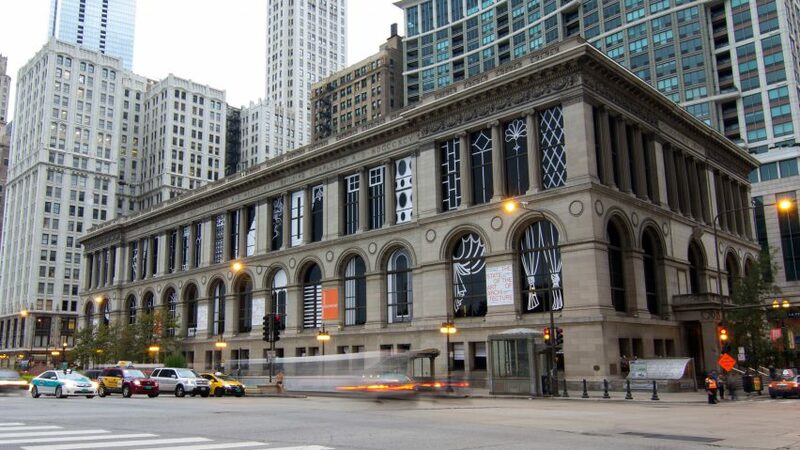 Exhibitions will be spilt between the main venue at the neoclassical landmarked Chicago Cultural Center, and a range of satellite spaces and public areas around the city. Displays are set to range from a copper tower installed in the cultural centre's ornate atrium to a furniture collection based on historic architectural shapes. Press and industry professionals can register for accreditation on the Chicago Architecture Biennial website. The biennial will run until 7 January 2018. It follows a successful first edition in 2015, which attracted more than double the visitors of the previous Venice Architecture Biennale.